We love visiting San Felipe for beach, fishing, golf and relaxation. Natives of San Diego and raised our families there. Our home had everything a vacation/rental home needs. Close to beach, pools, jacuzzis, horseshoes, bocci, fishing and golf. Coming down to El Dorado Ranch is sooo relaxing and the locals are friendly and safe. Clam digging, fishing and star gazing slows us down and time to enjoy cervezas, tequila and family. 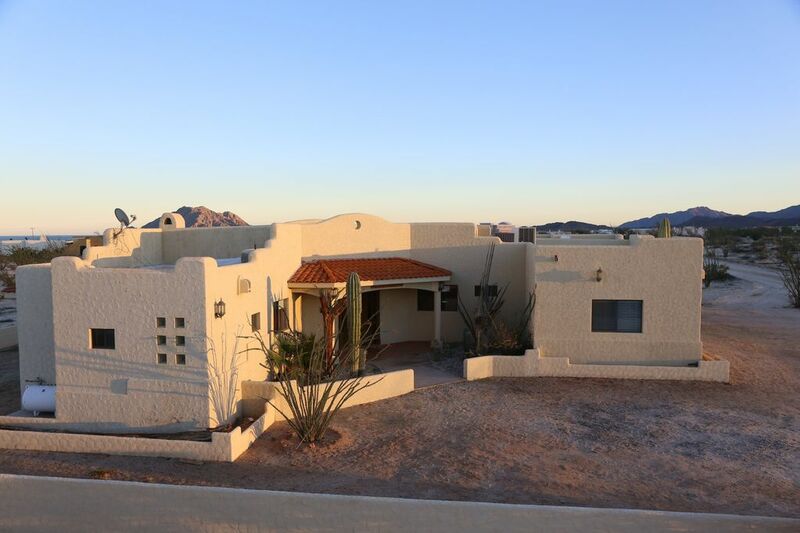 The home is big enough for a family with a/c to each bedroom and a great room where we meet to eat, socialize and enjoy the view of Sea of Cortez. Our home is very comfortable, built to American standards, wonderful a/c and Sat TV. Sitting in the great room or on the party deck, we have views to Sea of Cortez, french doors bring in the sea breeze and life is good. We are close to all activities to the point you can park your car in the garage and walk, ATV or ride to all. Church in town has an English Mass and a chance to support the local social causes like Rotary and Lions clubs. Master bathroom has two sinks, walk in shower with two head facets. Guest bathroom has shower and sink. 1/2 bath in the garage. Instant hot water heater. major A/C for great room. Each bedroom has mini splits. refrigerator, electric stove and oven, microwave, dish washer and 2 side sink. Coffee maker. Fully stocked pots and pans. 2 pools with one dedicated for volleyball. Food and bar service available pool side. Showers and oversized hot tub. Private beach, 3 restaurants on resort, 24 hour security, clamming and fishing nearby. House was well used but clean and comfortable. Had all the amenities that are expected and some extras. Location in Eldorado ranch is perfect to be out of the city but still has many restaurants and stores close by. Nice house! Fully furnished nice house and Family friendly.Community Pools were beautiful, nicest hot tub I ever seen. Water pressure. Overall the house was beautiful & exceded our expectations. Overall the house was beautiful & exceded our expectations. Thanks to Cesar for the house, my family enjoyed the visit. The home was clean and beautiful! We will be back for sure! The Fam and i love this home. We didnt want our vacation to end. I got that "HOME" feeling in my visit. I would only ask for a wifi box as i had real bad phone signal. Other than that i would of gave it a 5 star. Thank you for the visit and feeling at home. WiFi will be coming soon. You are welcome to come back again.